Documentary about the history of the East London Mosque, with contributions from Baroness Uddin of Bethnal Green, worshippers from different generations, historians and trustees. It seems the more Muslims migrate to Western Europe, the more they make the headlines. But what's the real story of their immigration to Britain? This is a documentary about the history of the East London Mosque which this year marks its centenary. 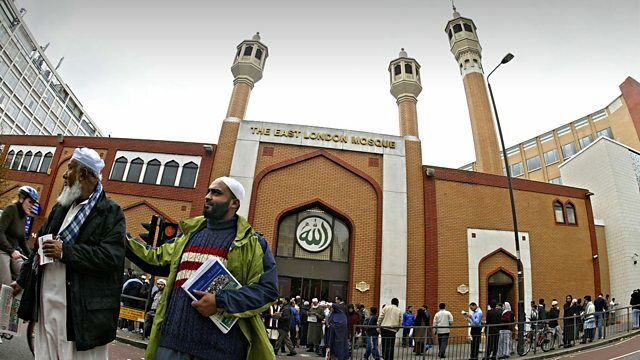 Islam is often seen as a divisive force, but from the outset in 1910 its founders wanted a mosque that promoted harmony between Christian, Jews and Muslims in the east end. Baroness Uddin of Bethnal Green, worshippers from different generations, historians and undertakers and trustees of the mosque, examine how successful the mosque has been as a force for integration. The mosque now caters for 4,000 Muslim faithful, a far cry from its inauspicious beginnings 100 years ago. At the start of the 20th Century, the British Empire had more Muslims than Christians, and yet, incredibly, no mosque in the empire's capital. The then Aga Khan, Lord Rothschild and British Empire officials tried to raise funds to build a mosque, but they were thwarted by the reluctance of wealthy Muslim donors overseas, who felt the mosque would dilute the message of Islam to make it acceptable to Londoners. Middle EastEnders chronicles the setbacks and triumphs of an institution which has shaped the identity of a corner of London.